5MRW205 Engineering Roll 2 White ??? 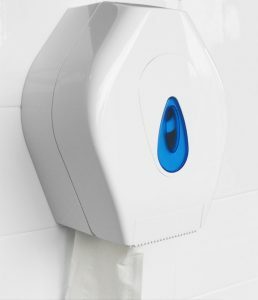 Disposable paper towels are a fast, effective, convenient and economical way of improving hand hygiene and they offer the best value in hand drying solutions. Rolled hand towels and centre feed rolls are ideal for busy environments, such as, industrial workplaces, schools, stadiums and other public areas. 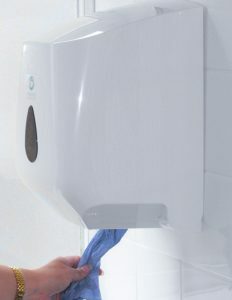 They are a simple hygienic and economical hand drying solution. Our range of mini jumbo and jumbo rolls are produced in a variety of core sizes and product length combinations in order to suit your needs. Conventional toilet rolls and flat sheets of toilet tissue are also available from stock. If you want to upgrade your standard centre feed dispensers, the Leonardo Smart Sensor is ideal. It will dispense a flat sheet so no need to undo the paper. You can set a pre-determined length which saves a lot of paper and therefore a lost of waste. 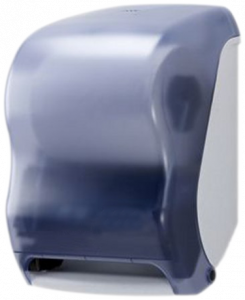 These dispensers can be bought outright or supplied as part of a contract agreement. Just ask for details.